Kate is the newest member to our hygiene team. She graduated from the University of Louisville in 2013 and joined our practice in 2015. She enjoys meeting new people and educating patients on their oral health. 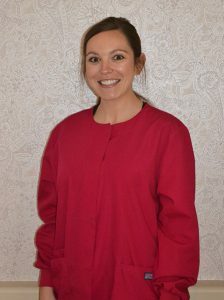 She has extensive experience working with children as she worked in a pediatric office prior to joining us. In her spare time she enjoys reading, running, going to country concerts and spending time with friends and family. Her claim to fame is being chosen to sit in the front row at a Garth Brooks concert!